More Choices than You’ll Ever Need...And Probably More Than You Even Want. Below you’ll find a huge list of pet bird names and canary bird names. If you can’t find a great name for your canary or other pet bird here I’ll eat my canary's hat...if he had one. Names for your canary or other pet bird... Chantilly, Pepe, Lester, Pete, Baby, Sunny, Bluebird, Vergil, Paco, Floyd, Skye, Pilot, Tweety, Pita, Yingwu, Maeta, Poncho, Taz, General Lee, Sparky, Pumpkin, Ozzie, Expo, Thelma & Louise, Buffy, Lemon, Sony, Roxy, Buffett, Joey, Maxi, Dusty, Sammy, Gumby, Hershey, Cisco, Paddy. ...more pet bird names... Rosina, Blueberry, Croix, Fidelio, Porgy & Bess, Carmen, Moondust, Q and V, Romeo & Juliet, Buster, Sunshine, Megabyte, Scooter, Moonshine, Sugar, Sweetie, Packer, Tazzy, Wacky, Petey, Juan, Studebaker/Studie, Tiger, Tweets, Keiko, Cody, Snickers, MacDaddy, Littlefoot, Okie. ...even more pet bird names... Rex, Monster, Chipper, Minnie, Pearl, Bart, Ricki, Kiwi, Silly, Sunny, Reba, Patience, Celestino(or Tino), Wisper, Buddy, Angel, Yogi & BooBoo, Brooklyn J. Front, Wolvek-Yuska a.k.a. JJ, Zelda, Tookie, Harley, Lady & Buster, Malcolm, Louie, Zoey, Jonah, Bonzai, Jax, Henry & George. ...still more pet bird names... Nikon, Fuji, Canon, Stash, Kodak, Ricky & Lucy, Princie, Mokie & Kika, Coco, Green, Tyrant, Penny, Molly, Thea, Kelvin, Charlie, Pirate, Peaches, Candy, Ozzy Ti-Pou, Wyatt, Chicharo, Bandit, Happy, Obayo & Obiyo, Oscar & Munro, Wilaric, Moonbeam, Cheyenne & Dakota, Rhapsody & Sonata. ...and yet more pet bird names... Tango, Sweet Pea, Puppy, Goose, Maxfli & Hogan, Harry, Sophie, Rosa, Robbie, Mercedes & Benz, Bali, Pete, Casper, Tweety, Elvis & Priscilla, Petrie, Billy, Aruba, Chipper, Nibbles, Sparky, Eli, Tucker, Chip & Dale, Mickey, Chirpee, Randy, Junior, Suger & Spice, Bopper, Dusty. ...more and more pet bird names... Rockie, Sunshine, Blueberry, Sprite, Belle, Petri, Greycee, Hal, Pepper, Coconut, Banana, Jill, Spaz, Val, Mr. Bird, Oliver, Wendy, Jezebel, Ethel & Fred, Jammal, Cooper, Paul, Honey, Robinson, Kruso, Kruz, or Kruso, Bronco, Bird, Krazy, Knoodles, Kiki, McGyver, Hump & Rump. ...I can't believe you're still reading these pet bird names... Samantha, Whiskey, Kio, Rosie, Earlybird, Cookie, Chirpy, Timmy, Vanilla, Baby, Whitney, Sweetie, Blue, Sally, April, Marcey, Sheba, Madi, Martini & Rossi, Buford, Chip, Pogo, Oscar, Inigo & Vizzini, BiBi, Pike, Sam, Bongo, Goldie, Girl, Pretty Girl, Guido, Bernie, Arena, Birdini. Are you really still reading these pet bird names..? Sweet, Sarah, Corky, Luckey, Tasha, Magic, Sydney, Beaker, Clancey, Kelly, Ceasar, Seymore, Banjo, Apollo, Martin, Merlyn, Henry, Kitty & Kat, Kiwi, Willy, Toots, Rella, Rosalita, Rosario, Barney, Bernadette, Handsell & Gretel, Jaybird, Eustic, Sully, Siu Pak (in chinese means "Snow White"). Calypso, Nike & Reebok, Micah, Zeke, Fang, Peach, Skylar, Piper, Tucker, Mango, Jessie, Chippie, Teke, Squidly, Mo, Brokerick, R.C., Baby Doll, Joe, Fred, Sweetie Pie, Buddy, Casper, Peepers, PJ, Ullyssess, Clare, Yoda, Tia, Jazz, Lemon, HoJo, Jenny, Monet, Van Gough, Piglet, Frankie. Getting close to the end now...more pet bird names... Picasso, Truffles, Moesby, Blue, Teale, Andre, Toni, Peabody, Pav, Raider, Featherstone, Glimfeather, Prizzle, Wiggles, Pokey, Zebadiah, Billie, Babe, Rock-it, Squirt, Speedy, Scooter, Conway Tweety, Peanut, Kokomo, Largo, Gabriel, Huey, Chaz, Giggs, Kipper, Samantha, "T" Bird. Toby, Tara, Scooby, Rugby, Cujo, Chance, Hambone, Edie, Cricket, Cuddles, Rio, Ghost, Bluebird, Bijou, Chekai, Shiloh, Malibu, Robert the Bruce, Touche, Yoshi, Kudo, Tigger, Zollaster, Master of Disaster, Spike, Alphie, Pandora, Piccolo, Rajah, Gizmo, Shanquia, Kadeshiah, Mojo, Sparx, Xander, Scully. Enough? I hope not...there are more pet bird names below... Want accurate, current, to-the-point info on canary care? 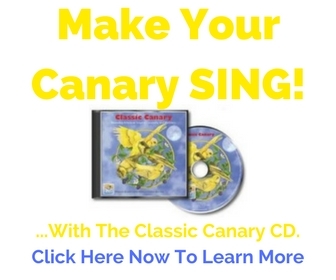 Subscribe to CanaryAdvisor.com's Canary Tips Ezine for usable value-packed information that will keep your canary singing. I promise to use it only to send you CanaryAdvisor.com's Canary Tips! E-zine. get sick. Just like you and me! treat and heal your sick bird. Click here now for more info. Here is another list of pet bird names. ~A~ Abercrombie, Acadia, Aerie, Aero, AJ, Alex, Alexa, Alf, Alpine, Amadeus, Amber, Ami, Angel, Annie, Annika, Apollo, Arctic, Breeze, Ariel, Artemis, Arthur, Aurora, Autumn. ~B~ Baby, Bailey, Bam Bam, Beacon, Beau, Bella, Belle, Beowulf, Bernie, Bilbo, Billabong, Blossom, Blue, Blush, Bon, Bonita (means beautiful), Bordeaux, Boyd, Brady, Breezy, Bud, Buddy, Buxton, Buzz. ~C~ Callie, Canoli, Caper, Casey, Cass, Cecil, Chaos, Cheerio, ChiChi, Chico, Chloe, Cinnamon, Circe, Clancy, Cleo, Cloud, Coco, Cocoa, Cookie, Coquito, Courtney, Cricket, Crystal. ~D~ Daffney, Dakota, Dallas, Damozel, Daphney, Darcy, Darwin, Demeter, Destiny, Diamond, Dinah, Dinky, Dixie, Drumstix, Doozer, Dora, D'oro, Drew, Dudley, Duncan, Dungaree, Dunkin, Dutch, Dylan. ~E~ Earl, Earl Grey, Eden, Eggbert, Elessar, Eli, Elias, Ellory, Elmo, Emerald. ~F~ Falcon, Fanciflare, Fancy, Free, Fanfare, Fantasy, Faux, Fawkes, Feathers, Ferdinand, Finesse, Fletch, Fleure, Flossy, Folly, Fools Gold, Forrest, Frank, Frazier, Fred, Frijole, Frisco, Frodo, Frolic. ~G~ Gabriel, Galahad, Gallant, Gandalf, Gazebo, Geordi, George, Georgia, Gimli, Ginger, Glee, Gloria, Gold, Dust, Goldie, Gremlin, Guinevere, Gylour, Gypsy. ~H~ Happy, Hardy, Harry, Harvest, Hawkeye, Hedwig, Hermes, Hermione, Hombre, Homer, Honey, Hope, Hotspur. ~I~ Icarus, Icebreaker, Inca, Indi, Indigo, Irene, Iris, Isaac, Isabeau, Isak, Isis, Ivy, Izzie. ~J~ Jack, Jack Frost, Jade, Jake, Jalen (means Bird of Light), Jamie, Jasmine, Java, Jelly Bean, Jenna, Jessie, Jester, Jewel, Joker, Joy, Julep, Julie, Julius. ~K~ Kalley Karma, Kayla, Kiara, Kiarra, Kiki, Kip, Kira, Kismet (means Fate), Knight, Life, Koko, Kya, Kyle, Kyri. ~L~ Lady Frost, Lacey, Laurel, Leander, Legacy, Leisel, Lemon, Leo, Lilly, Lily, Lime, Link, Lizzie, Louis, Louise, Lotta, Luca, Lucky, Luke, Lupe. ~M~ Macaroni, Madcap, Maeve, Maggie, Magic, Marker, Mango, Marciano, Marigold, Matthias, Matrix, Maud, Maude, Maya, Merlin, Merry, Merrymist, Midnight, Milo, Milou, Mimi, Misha, Misty, Mo, Mocha, Molly, Moonbeam, Motif, Mr. Greenjeans (Greengenes). ~N~ Nathaniel, Nell, Nemo, Nessie, Newton, Nibbles, Niblet, Nikki, Nimbus, Nissa, Noah, Noelle, Nova, Nutmeg. ~O~ Oberon, Oedipus, Olivia, Olive, Oliver, Ollie, Onyx, Ortega, Oscar. ~P~ Paco, Papaya, Pappy, Patch, Patches, Peace, Peanut, Pearlie, Peedie, Peepers, Pele, Penelope, Pennie, Penny, Pepe, Pepper, Percival, Percy, Perma Frost, Pete, Phantom, Phoebe, Phoenix, Pika, Pip, Piper, Pippin, Polly, Popeye, Priscilla, Puddin, Pumpkin. ~Q~ Queenie, Querida, Quincy, Quinn. ~R~ Raffle, Rainbeau, Rainbow, Raven, Rico, Rio, Robin, Rosa, Rose, Rosy, Roxy, Ruby, Ruffian. ~S~ Saffron, Sage, Sam, Sammy, Sangria, Sapphire, Sara, Sarah, Sarge, Sasha, Sassafras, Sassie, Sassy, Schotzie, Seneca, Serenade, Shadow, Shadow Wing, Shakespeare, Sheera, Sheila, Sidi, Sierra,Silver Hawk, Sky, Skye, Skylar, Smarty Pantz, Smokey, Smoochie, Snow Job, Snowy, Solar, Sonny, Sophie, Sora, Sparkler, Sparky, Sparrow, Spellbound, Spice, Spicy, Spike, Spooky, Spotlight, Spud, Sputzie, Squeak, Star Bright, Stella, Stitch, Storm, Stormy, Sugar, Sunflower, Sunny, Sunshine, Sunspot, Susy, Sweedie, Sweetie, Sweetie Pie, Sweetums, Synbad. ~T~ Taco, Tailer, Tango, Tantrum, Tao, Tarnation, Tatiana, Tava, Taylor, Taz, Teila, Tempest, Thisbe, Thunder, Tia, Ticket, Tico, Tiki, Titania, Tobie, Toby, Tom, Tootsie, Topaz, Tristan, Tuck, Tucker, Tuffy, Turq, Tweetie, Tweety, Twinkle, Typhoon. ~U~ Ulani (Cheerful in Hawaiian), Ulysses, Ursula. ~V~ Vagabond, Val, Verde, Verdi, Verne, Violet, Vixen. ~W~ War Paint, Wesley, Whisper, Wild Fire, Willie, Willow, Willy, Winnie, Winter, Wizard, Wriggley. ~Y~ Yoda, Yodel, Yogi, Yoshi. Thanks to Birdbytes.com and Loveofbirds.com for providing these lists of pet bird names...thank goodness I didn't have to do all the work myself...whew! Good Luck with choosing from all the pet bird and canary bird names out there! Return from Pet Bird Names to CanaryAdvisor.com Home.